I've found that our children really like using our practice writing checks worksheets. They're like play money. This download has six pages. the sixth page has the spellings of the numbers one through one hundred. It's so much fun to write the names of real stores and to be able to pretend using real checks. Anyway, these also work out to be fun ways to practice spelling and writing numbers. 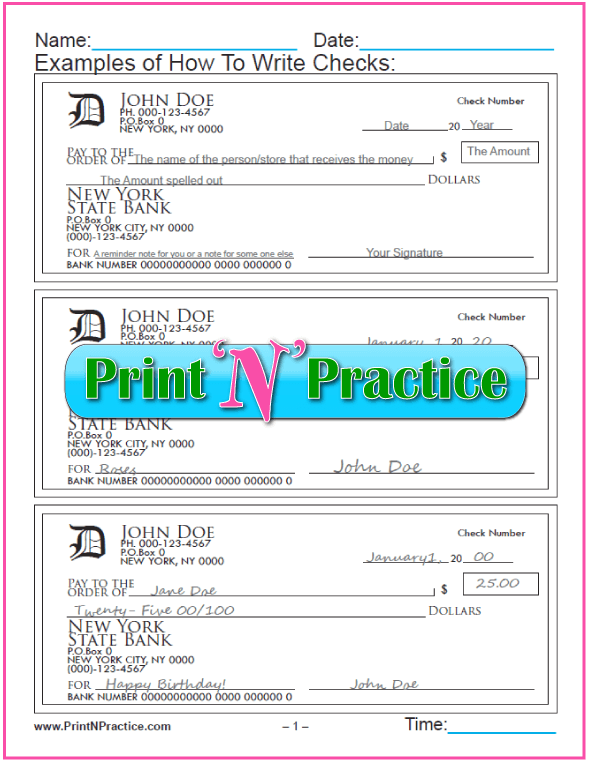 You can also print on colored paper to make blank checks for practice more fun. Enjoy! 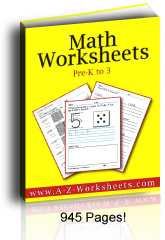 We also have writing numbers worksheets and counting money worksheets for little ones.